In the event of cancellation please contact us 24 hours prior to the start of service. A full fee of the confirmed service will be imposed for any cancellation(s) less then 24 hours. We will ask to see proof of vaccinations, Kennel cough is compulsory; dogs must also be regularly wormed. Payments are pre-paid by the following methods: We accept debit or credit cards, cash and cheques. Payment via credit card can be made online at www.poochypaws.co.uk and all cheques should be made payable to “Poochy Paws Ltd” If you choose to pay by cash or cheque, you may either leave payment in an envelope for a Poochy Paws Walker to pickup or send a cheque to us at: Poochy Paws Ltd, 14 Basil Street, Knightsbridge, London SW3 1AJ. We will not accept aggressive dogs. In the event that something should happen to your dog that requires medical attention, we will do everything possible to obtain the right treatment for your dog in a timely manner. In the event that we are unable to reach you for whatever reason, we reserve the right to make medical decisions on your behalf for the care of your dog. You will be responsible for any veterinarian bills that result from getting your dog the medical attention that he or she needs. By utilizing our services you consent that you have read our terms of business in its entirety, agree and understand all of its contents completely, and acknowledge that Poochy Paws Ltd has limited liability regarding certain occurrences and incidents that may occur regarding your dog. Whilst we take every precaution possible to ensure that all of the dogs in our care are healthy and safe, the client must recognize that incidents may happen when dogs socialize together and that we take no responsibility regarding these incidents. 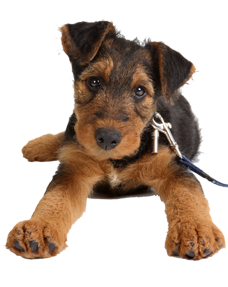 Poochy Paws Ltd is not liable for injuries or illnesses that any animal may incur while in our care.